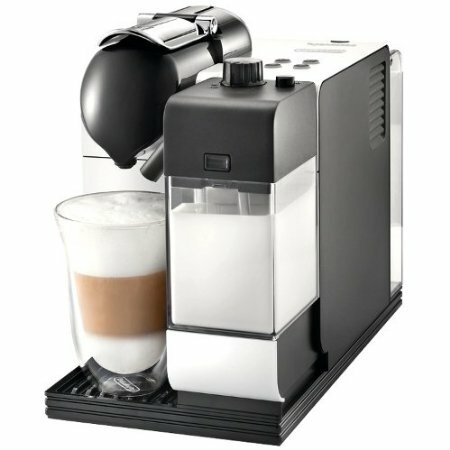 Nespresso Evoluo or Starbucks Verismo, Which To Buy? 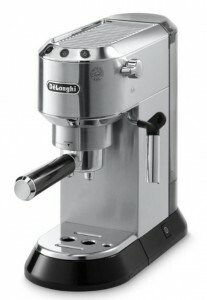 If you want your single serve machine to make both coffee and espresso drinks, then you’re in the right place. 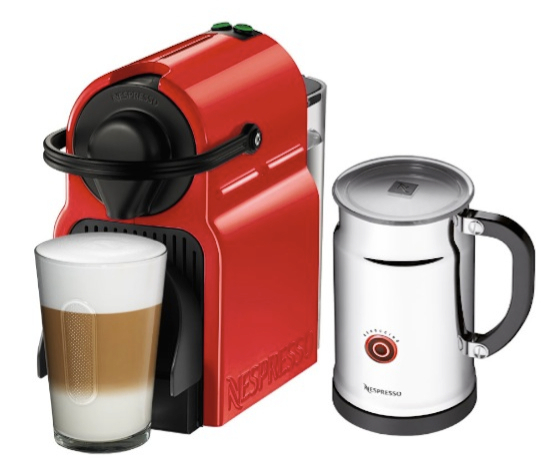 But, between Nespresso Evoluo and Starbucks’ Verismo, which single serve coffee maker should you choose? 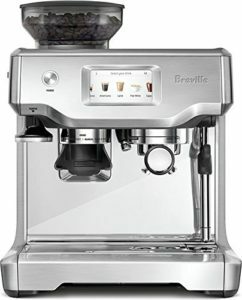 Both machines come with their own features, pros and cons. And we’re here to help you find which of them is the right one for you. 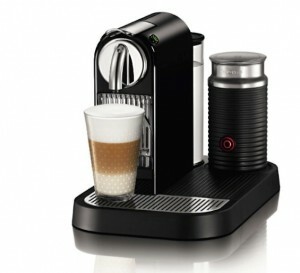 Evoluo is one of Nespresso’s VertuoLine machines, which has the ability to brew both espresso and coffee. 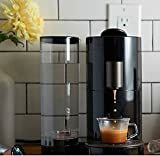 Evoluo uses capsules that are entirely new and redesigned from the OriginalLine Nespresso machines, because Evoluo works and brews differently, too. 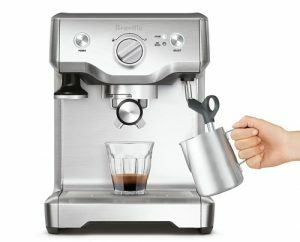 Patented Centrifusion technology: Evoluo brews by spinning the capsule at 7,000 spins per minute, blending the coffee ground with water to extract an aromatic and flavorful cup of coffee or espresso. 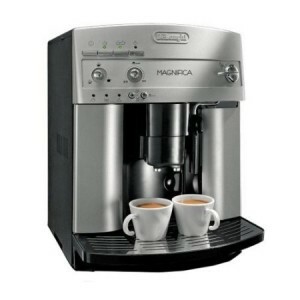 Brews two sizes: 1.35 oz espresso, or 8 oz cup of coffee. 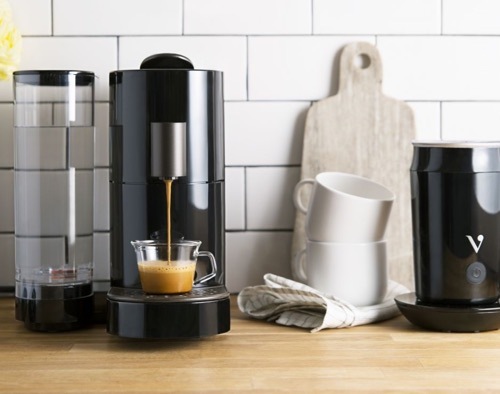 Automatic blend recognition: with a special barcode at the rim of each capsule and laser reader inside the machine, Evoluo is able to automatically recognize the blend you want to brew and the brewing parameters are adjusted by the machine depending on the selected capsule. 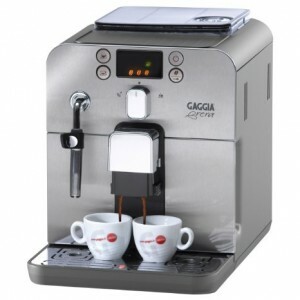 Two lines of capsules available: large ones for coffee and small for espresso. 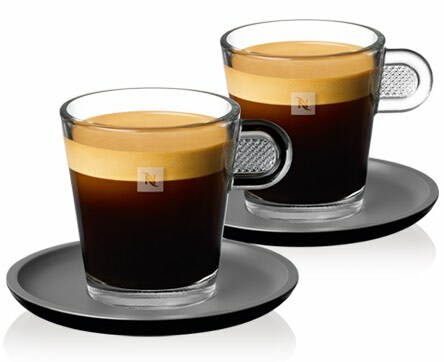 Available in a variety of Nespresso blends. 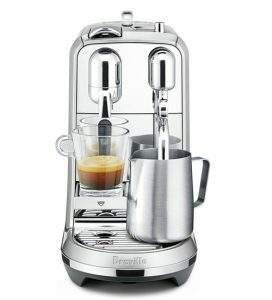 Create delicious espresso based drinks like Cappuccino and Latte by using Aeroccino automatic milk frother (sold separately or as a bundle). Available in two sizes: Evoluo with 40 oz water reservoir, or Evoluo Deluxe with 54 oz water reservoir. 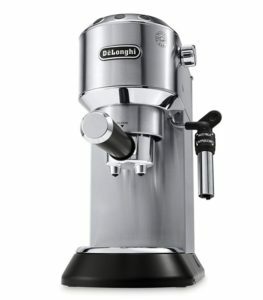 Read our comparison between Evoluo vs Evoluo Deluxe here. You can also read about the difference between VertuoLine and Evoluo here. 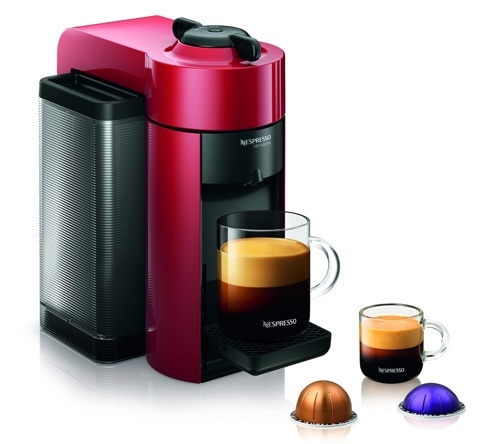 Evoluo can only fit VertuoLine capsules made by Nespresso. 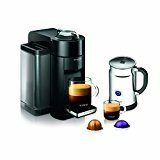 There are no compatible capsules from other brands or refillable capsules (as of the time of writing of this post). 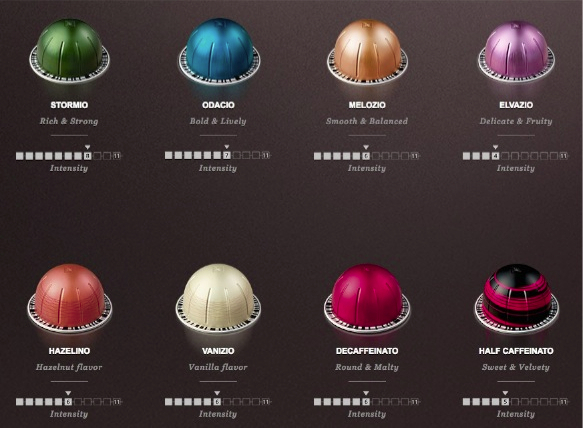 So, when buying a Nespresso Evoluo, you are committing to their brand of coffee capsules. 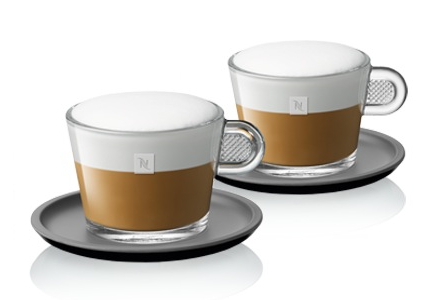 Lucky for us, Nespresso produces some of the highest quality coffee capsules. 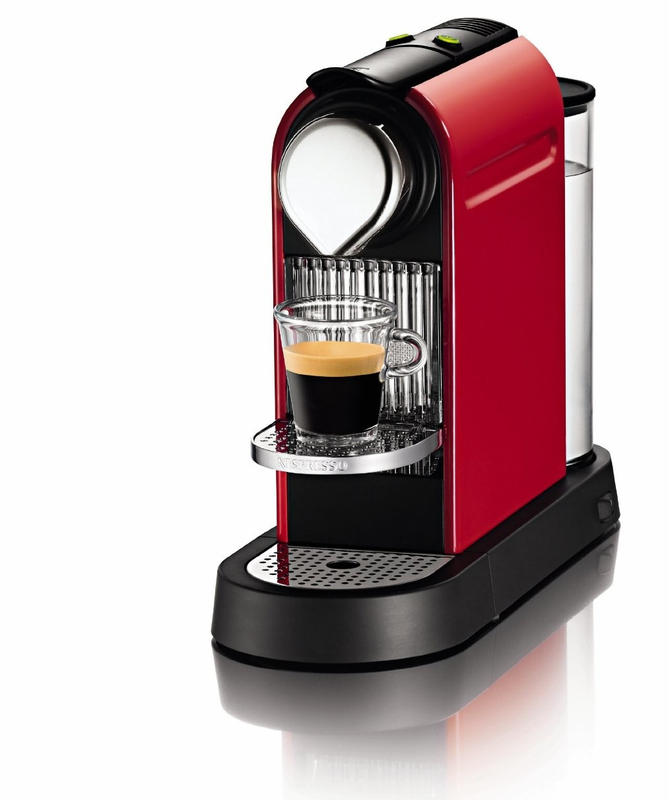 Click here to learn more about Evoluo by Nespresso, read the customer reviews and buy it. 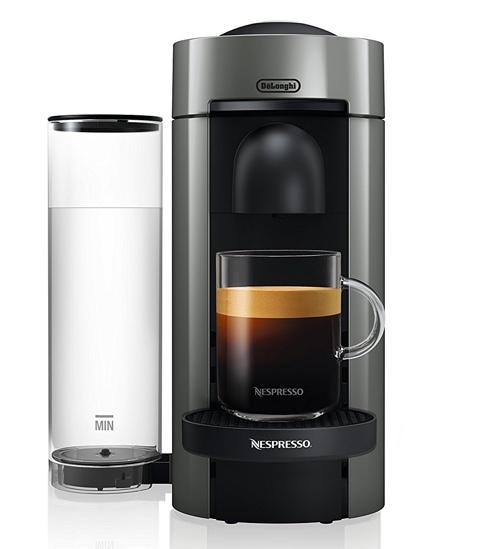 The Starbucks Verismo V is a unique single-serve espresso and coffee maker that gives you the best of both worlds. 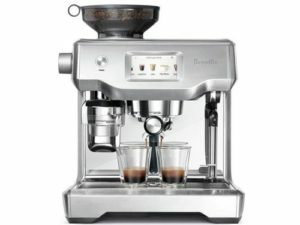 The dual-pressure pump machine can brew single shots of espresso using high pressure (which is required for espresso brewing), or it can brew a full cup of your favorite Starbucks coffee blend using low pressure. 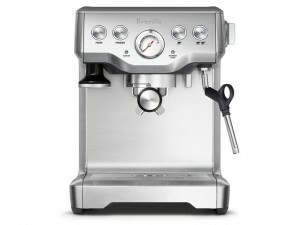 Dual-pressure technology for brewing espresso or coffee. 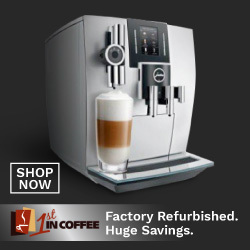 Works with Starbucks Verismo coffee pods. Quick startup time of 15 seconds. 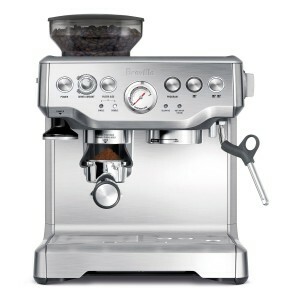 Coffee brew size: 10 oz. 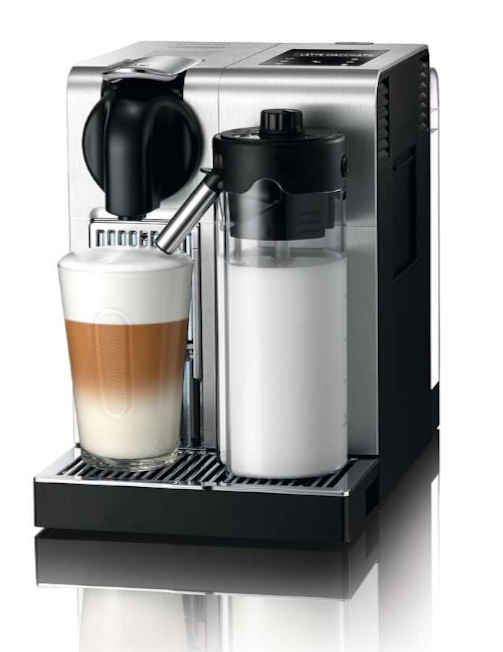 Use the Verismo electric milk frother to create delicious espresso coffee drinks (sold separately). 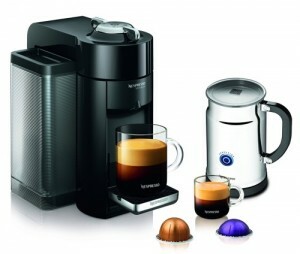 Like Nespresso, Verismo only uses pods made by Starbucks for Verismo. 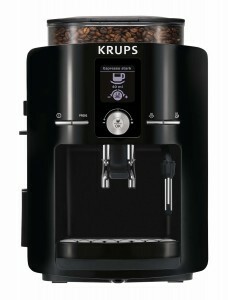 The pods are available for coffee or espresso, in many famous Starbucks blends. Starbucks also make one tea blend and a milk pods. 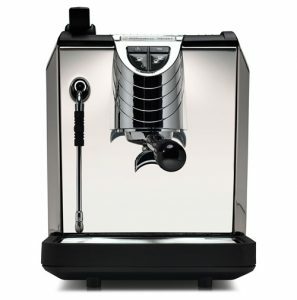 There are no refillable pods or compatible pods from other brands. 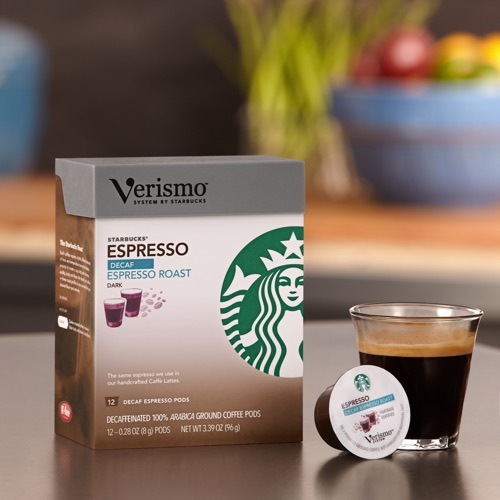 Click here to learn more about Starbucks Verismo V, read the customer reviews and buy it. If you want something that is closer to a traditional drip cup of coffee, then you’ll like Verismo’s coffee for sure. Especially if you’ve already tasted Starbucks coffee and like it. 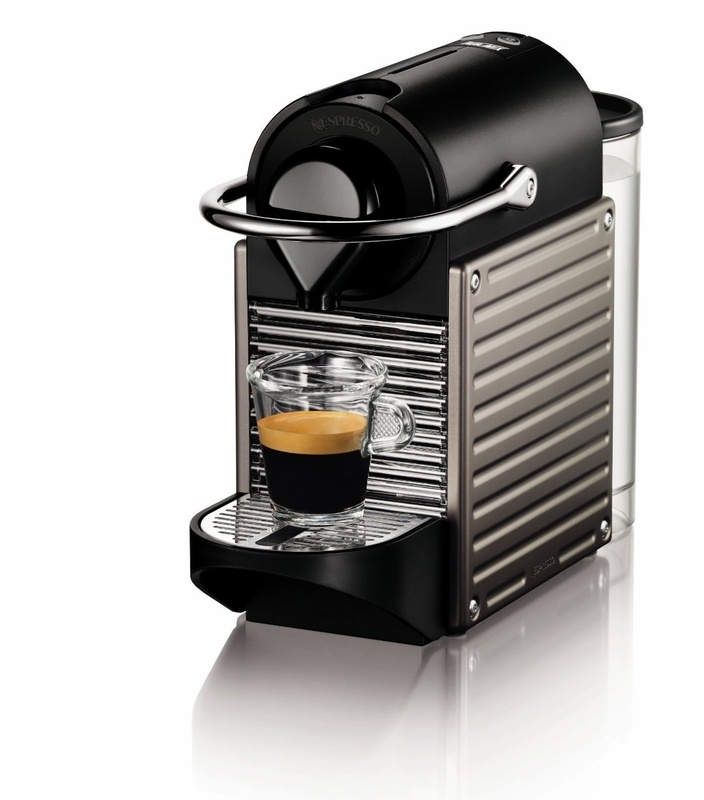 Because of Nespresso Evoluo’s Centrifusion technology, the coffee produced isn’t like your average cup of coffee. 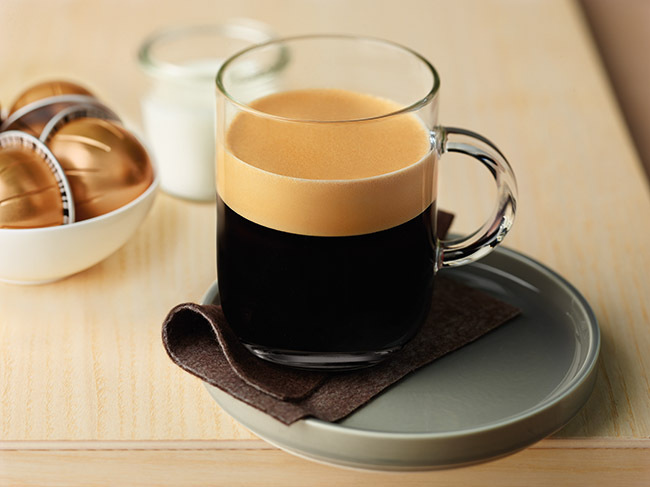 It has a thick layer of crema, which is not something a drip cup of coffee would have. 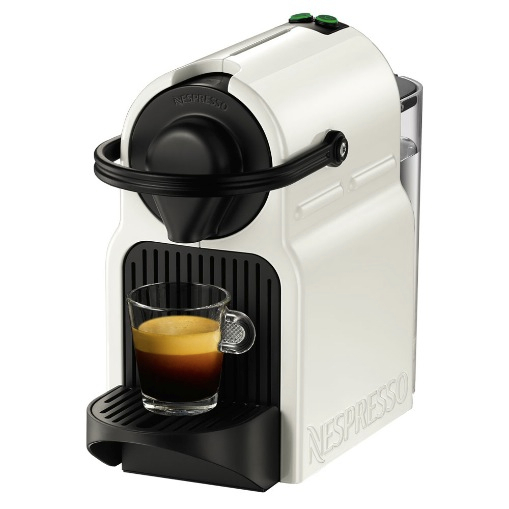 So, if you’d like something as close to a drip coffee as possible, then go for the Verismo. 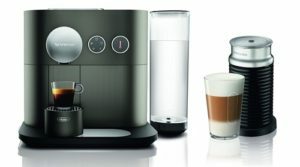 If you want to try something new and exciting, Nespresso Evoluo should be your choice.